Hello everyone! Welcome back for our next challenge here at Crafting With An Attitude. Our challenges are "Always Anything Goes". Why not join in on the fun? You could be our next winner. 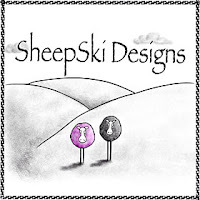 Sheep Ski Designs is our sponsor for this month with a prize of 3 single digital images. If possible, please stop by and check out the products she offers in her shop. My design team has been busy creating some wonderful inspiration projects for you. Remember you have until 8pm Sunday, October 28th to enter. Limit of 3 entries per person. If you would like to participate in another month-long challenge stop by the Stinkin' Inkers blog and check out our "just for fun" challenges. Anxiously waiting to see your creations. Have fun!